For those of you who attended and assisted with Annual Conference 2012, thank you for giving the Central Texas Conference your time and your service. The planning for Annual Conference 2013 has already begun. If you attended Annual Conference 2012 in Waco, your feedback will go a long way in helping to ensure that next year’s annual gathering is as successful and comfortable as possible. Please take approximately five to ten minutes (depending on how much you wish to share in the comments sections) and share your thoughts and constructive feedback on this year’s conference and any ideas for improvement that you have going forward. 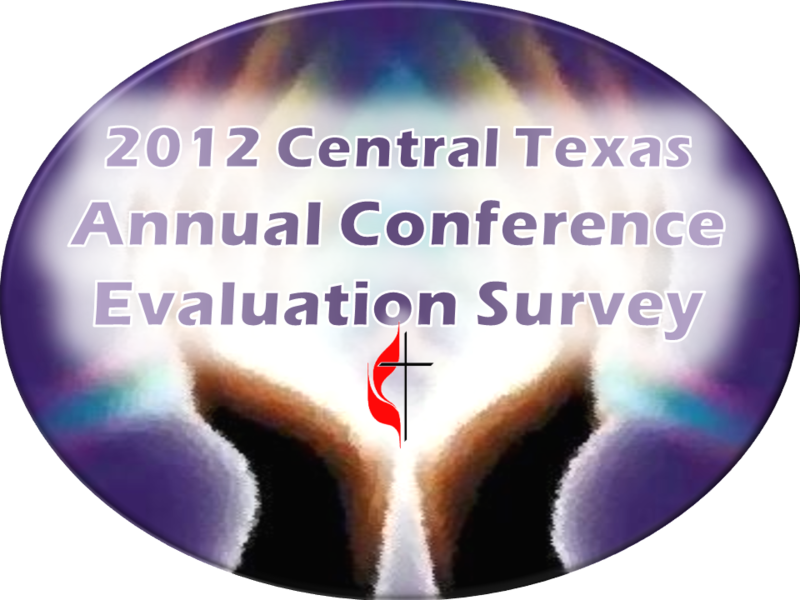 You can access the brief evaluation form by clicking on the image below or by going to www.ctcumc.org/ctcac2012evaluations. If you have technical difficulties launching the evaluation please contact Calvin Scott (calvin@ctcumc.org) or Vance Morton (vance@ctcumc.org).